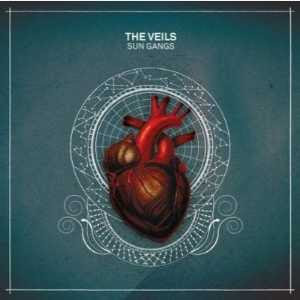 The Veils third album, Sun Gangs, finally saw release last week and it's about time. It might seem long to me as I'd been following the band's recording progress on the bass player's blog and their myspace page, but it was worth the wait as the record does not disappoint. Lately I've been shuffling the music in my dying mp3 player and Sun Gangs has become one of the my favourites and refuses to be removed from the ailing Zen. Band leader, Finn Andrews, has never made any attempt to hide his Springsteen influence, he's performed The Boss's "State Trooper" in many live shows and does a fine job of it, and that influence kicks off the new album with "Sit Down By The Fire", Andrews' voice delivering the lyric with the knowing wisdom of a man much older. When I was around fifteen, I heard Springsteen on the radio and became a fan, it was Born To Run and I hadn't heard anything like it before. You've got to realize the record was brand new and wasn't even in the stores yet, we're going way back into the last century here. 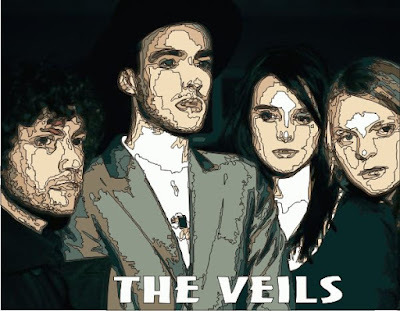 Anyway, my point is that there's something about The Veils' "Sit Down By The Fire" that brings back part of what I felt when listening to Springsteen in the mid '70s. But I like several other songs on the record just as much, "Three Sisters", "The Letter","Killed By The Boom", "The House She Lived In", umm... well, pretty much the entire record save for the failed eight and a half minute epic "Larkspur". There's something missing from that song, maybe it's not grandiose enough, it's more likely that's it's a very good four minute song stretched far too thin. With, or without, that song... this record is highly recommended. love the veils!! rock on.